March has been the month of university visits. After the Major Assessment week the Counselling Department took 60 boarding students to a university fair at SSIS. With over 90 universities, the students took the visit in their stride and talked to a number of admissions officers and professors. In feedback from Dr Colin Crowder, a professor in the Liberal Arts department at Durham University, he said that he had wanted to take Dulwich International High School Suzhou students to Durham right there and then because they had impressed him so much! 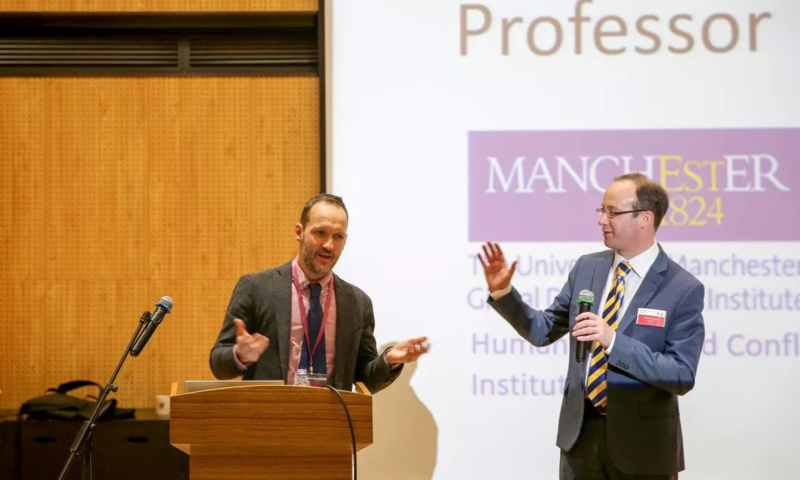 Also this month, Dr Matt Glowatz from the Business School at University College Dublin gave a lecture on Social Media and its use in the business world. 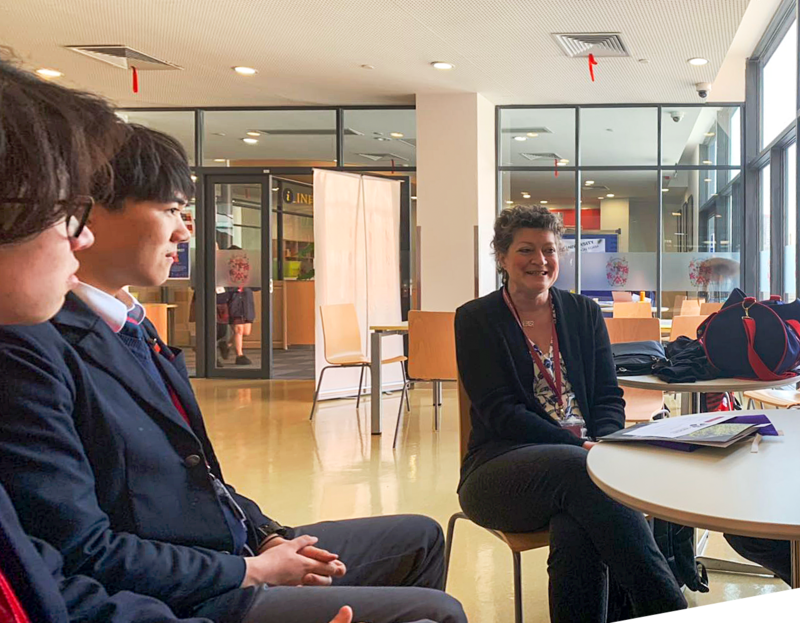 Dr Glowatz has made the trip to Dulwich International High School Suzhou on a number of occasions, and each time he has been highly complimentary about the engagement of our students. Loughborough University in the UK also delivered a seminar to a handful of students about choosing the best-fit university. One of the top universities in the UK for design and sport, the students present asked many questions about lifestyle and the level of competitiveness for entry. Also attendance have been a number of American Universities and liberal arts colleges. Oberlin, Dennison and Kenyon Liberal Arts colleges spoke particularly of the sense of community that they are looking for in prospective students and in a boarding school like Dulwich International High School Suzhou, it means that our boarding students know what it is like to live and belong to a community. The University of Manchester has also visited our school twice in as many days. On Monday 25th March the AS Biology students and an IGCSE student attended a lecture on Infectious Diseases, bacteria and the use of antibiotics. Dr Nicky High, a microbiologist gave an insightful lecture about the potential ineffectiveness of antibiotics and the future consequences if diseases become resistant to drugs. As the Year 12s embark on their research of universities, the Counselling department expect to see that continued engagement with the plentiful opportunities that are offered.